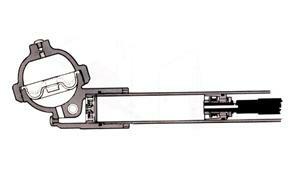 Using just one shock absorber, the front end of which was located at the joint between the head pipe of the frame and the tank rail, with the rear end positioned on the upper portion of the triangular shaped rear swing arm, this mechanism succeeded in changing the up/down motion of the rear wheel into a forward/rearward motion, so that better shock absorption effect could be obtained. 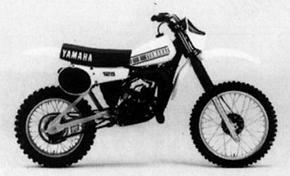 The term “Monocross suspension” referred to the combined construction of frame, swing arm and shock absorber. The shock absorber used a base valve and rubber membrane to pressurize the damper oil separately from nitrogen gas. As a result, even under hard use causing the unit to incline, the oil in it did not become aerated, which contributed to a more stable damping effect. Since the introduction of the Monocross suspension, every year has seen new improvements, such as the lighter and easier-to-produce de Carbon type and adoption of a specially designed coil spring that gives a progressive damping effect. Indeed, the amount of new technology that has come out of the development of this system is truly amazing. 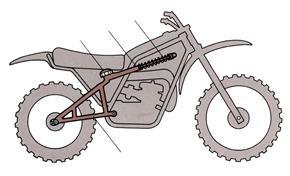 Earlier than the introduction of the Monocross suspension conventional rear suspension systems had generally relied on two separate shock absorbers on the right and left working on the swing arm. This meant that when the rear end received a severe shock from the road, the two shock absorbers would function independently, thus twisting the swing arm and causing a shake in the rear of the bike body. 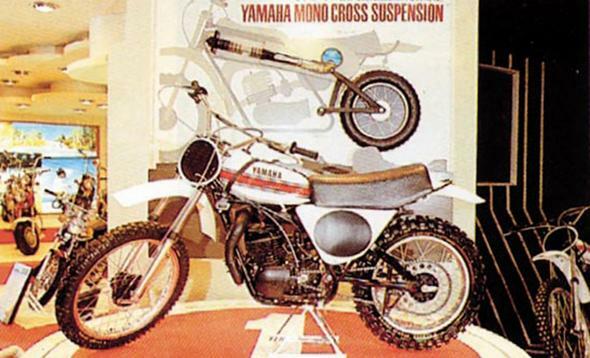 However, the newly developed Monocross suspension was able to solve these problems by adopting a single shock absorber attached to a rigid triangular swing arm that was highly resistant to twisting forces. In addition, the fitting positions of the wheel axle and the shock absorber to the rear arm were altered so that the ratio between wheel travel and cushion stroke increased from 1.2-1.5 on conventional systems to 5 on the Monocross system, which meant much greater wheel travel, resulting in increased comfort, improved drivability and better grip on the road.